Our cruisers learned lessons under pressure, so you don't have to. 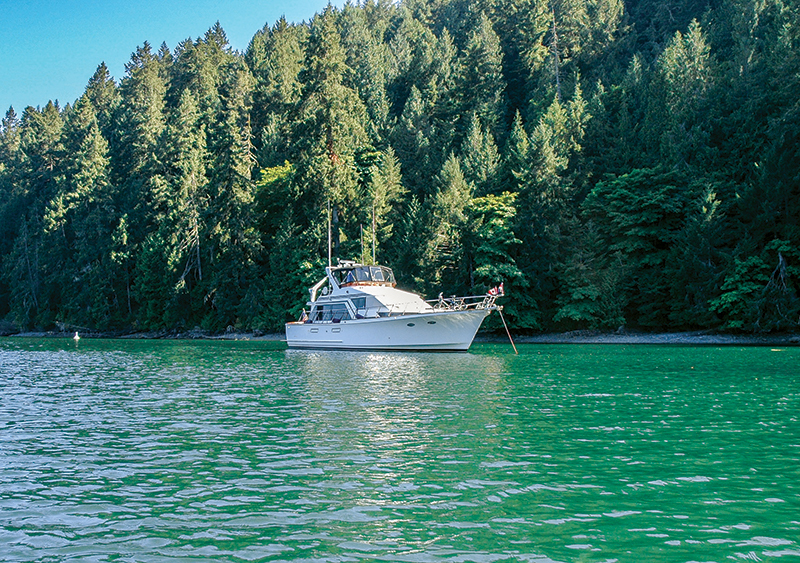 The goal for many boat owners is to get out there and cruise. 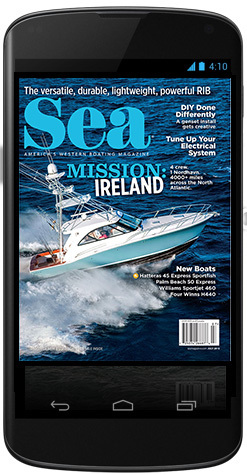 Whether they’re dreaming of far-flung locations or are content to cruise their local waters and discover something new in the familiar, boaters think big. 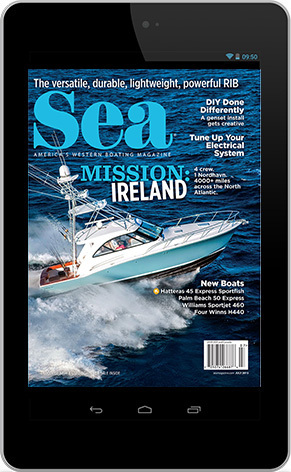 We’re fortunate to have readers who are willing to share their adventures every month and give other boat owners ideas for their own cruise. Often, when cruisers sit down to write about their adventure, they learn something they hadn’t realized during their cruise, which in turn helps others. We asked a handful of our writers to look back on 2016 (or a recent year) and fi nd an episode that taught them something they could share. A few of them provided a New Year’s Resolution for 2017, too, which we hope our readers can put into practice along with our writers. If it breaks buy two, because it will break again. Have spares for every system. If it hits an age where it might break, replace it. If you have two parts of a system and one fails, the other one must not be far behind to rebuild or replace it too. Most importantly, have a contingency plan for each system if it completely goes south. These rules have kept me relatively trouble free, keeping me from ever having to terminate a voyage — except when I do not follow them! A hydraulic stabilizer system has two equal working fins, and all the working parts get the same wear and tear. My Wesmar system has been a marvel, with more than 8,000 hours of smooth sailing. After that much time, there is certainly going to be some wear, and if I’d thought proactively, I would have rebuilt both rams and pulled and repacked both fins. If only I’d listened to my own good advice. The first ram pump sprang a leak. I was in a big city and able to get it rebuilt easily. At that point, the prudent thing would have been to pull the other one and send it in as well. I even talked about it. But alas, it was only talk. 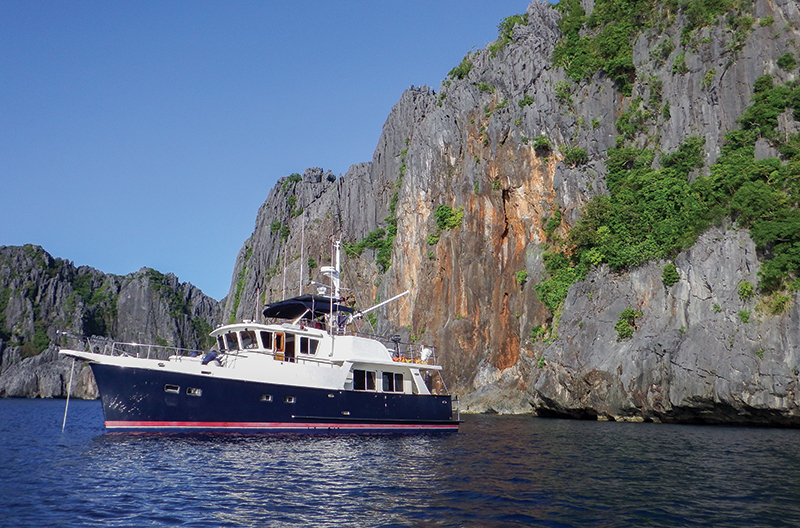 Brian Calvert’s travels aboard Furthur have taken him to some of the most spectacular cruising grounds, and he only finds trouble when he doesn’t follow his own rules. A few months later, in the wilds of Indonesia, the second pump popped. No big city, no hydraulic expert, no spares and no plan. I failed Capt. Brian’s boating rules completely. The good folks in the village were eager to help and came out in hordes to look at a system they had never seen, scratch their head and give advice. We pulled the pump and a couple of locals went for an all-night drive to get parts, returning later with a handful of seals that did not fit. The local “mechanic,” who was a motorbike repair guy, came out. He gallantly tried to put the odd assortment of seals to work. The gang all came out to the boat — three small boats full — where we installed the ram and fired it all up from the pilothouse. I heard a gleeful cheer … then a distinctive “ahh” as it leaked. I had already been thinking of options and decided to just loop the hydraulic hoses away from the pump and pin the fin in the centered position. I was amazed at how well just one fin worked. I kept an eye on the hydraulic levels and headed homeward. This fix worked until I found qualified help and parts. What we learned: I now carry a full set of spare seals and hydraulic oil — and have a clear plan for what to do if one goes out. On the bright side, I got to meet so many nice folks who tried to help us. There is always an upside to every challenge. 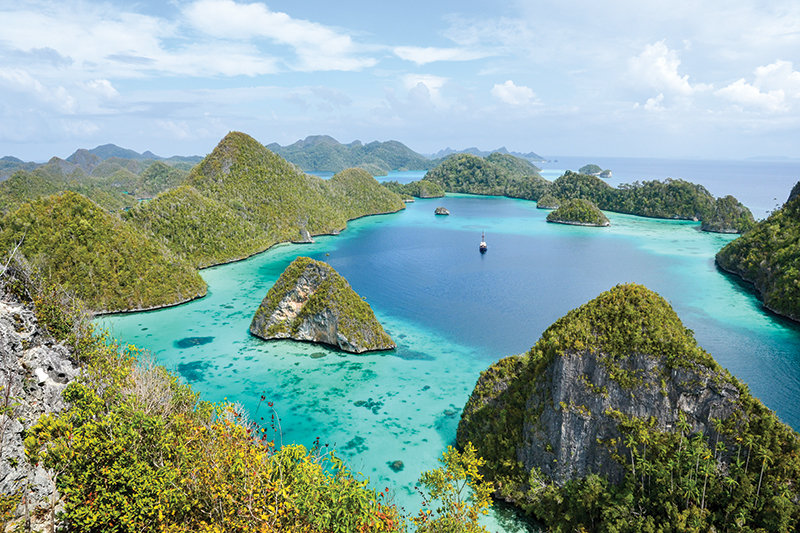 Raja Ampat Wayag is a favorite Indonesian location for the Further crew. Adam Jenkins learned to be more meticulous with daily systems checks when cruising. 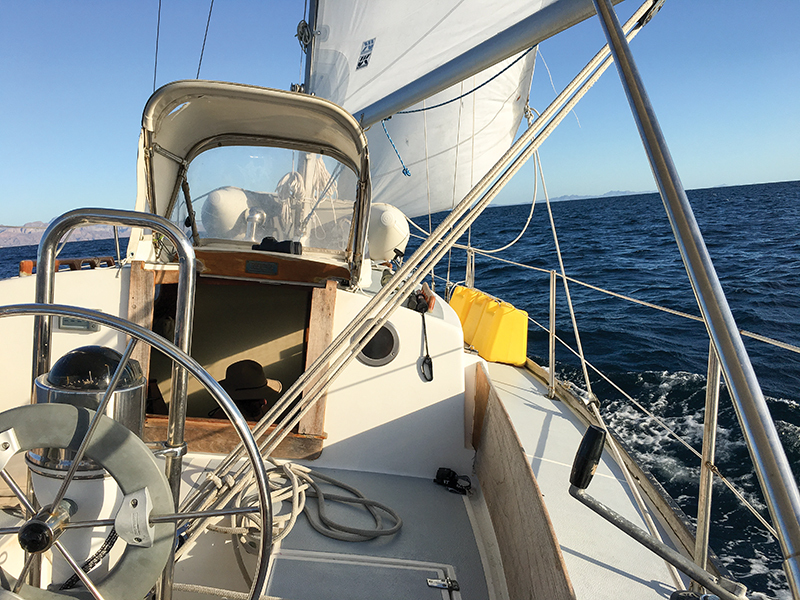 What happened: In 2016, my crewman, Tache Bentley, my 10-year-old daughter, Sophia, and I made a splendid passage from San Diego to Los Cabos in nine days. The passage was one of those where you have the wind on the quarter and are sailing toward warm points south. After four fun days in Los Cabos, Saint Brendan and crew departed for the Sea of Cortez. The evening of the first night out of Los Cabos we were motorsailing on a calm sea. Bentley was on watch in the cockpit and I was snoozing in my bunk below. The auxiliary Yanmar diesel normally runs like a champ, smooth as silk … but at 2330 that night there was a strong odor of diesel fuel in the main cabin and soon the engine began to sputter before choking to a stop and leaving us adrift. I pulled the motor cover off and found an ugly mess. Thanks to a loose hose clamp, the main fuel line had come free from the fuel pump leading to the injectors and was pumping fuel into the bilge and on to the engine mounts. The fix was simple: reattach the fuel line and prime the fuel system. We were back underway in 30 minutes. But cleaning up an oily engine compartment and a slippery bilge in the middle of the night is not my idea of an amusing watch. What we learned: I learned that even though we do regular inspections of our boat’s systems, sails and rigging, a skipper who is a little casual in his inspections can really ruin your day or night. 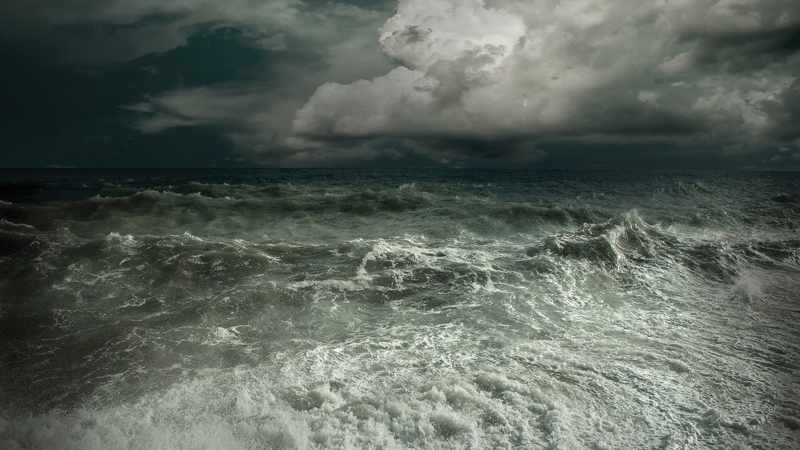 The weather was calm the night of our incident, but failures that happen in heavy weather or a lee shore can be dangerous for a boat and crew. Cruising Resolution for 2017: I will be even more meticulous in the future to always inspect and check the fuel, electrical and steering systems, the sails, and the standing and running rigging of my boat on a daily basis while underway. Where we were: Along the Northern California/Oregon coast. 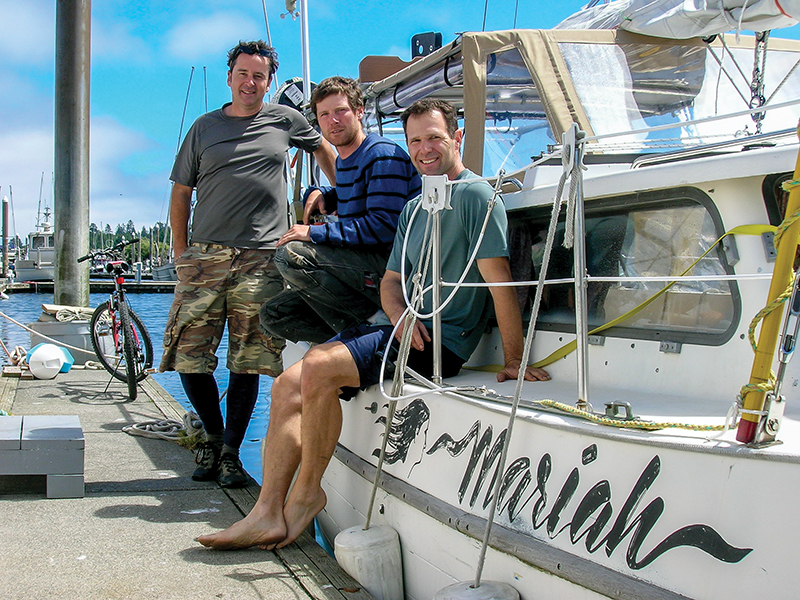 What happened: A few years ago, I volunteered to help a friend move a recently purchased boat from the San Francisco area to Portland, Ore. We flew to the Bay Area to prepare the boat for the trip. My friend’s son was flying in on Monday of the following week, and we had scheduled our departure for the Tuesday after his arrival. As the time for departure neared, it looked like our weather window would open earlier than expected. I mentioned to my friend that perhaps we should change our schedule and leave earlier than we had planned. He said his son could not get there until Monday, and he really wanted to share the experience of the maiden voyage with his son. I understood his desire to share this moment, so I agreed to wait until Monday afternoon to go. I have a saying I use regularly: “More ships are sunk due to schedules than rocks.” In this case, I should have followed my own advice. By Sunday night, it was a near certainty we would have heavier seas for a portion of our voyage. Sea conditions in the Pacific along the Northern California and Oregon coast can change quickly, and often they are worse than forecast. Such was the case this trip. To say it was a long night is an understatement. The boat did great, taking everything the ocean threw at it, nine- to 12-foot seas and wind gusts up to 40 knots. The crew was another story. By daylight, lack of sleep, occasional seasickness and mental exhaustion from the relentless action of the seas had the crew struggling to do the simplest tasks. 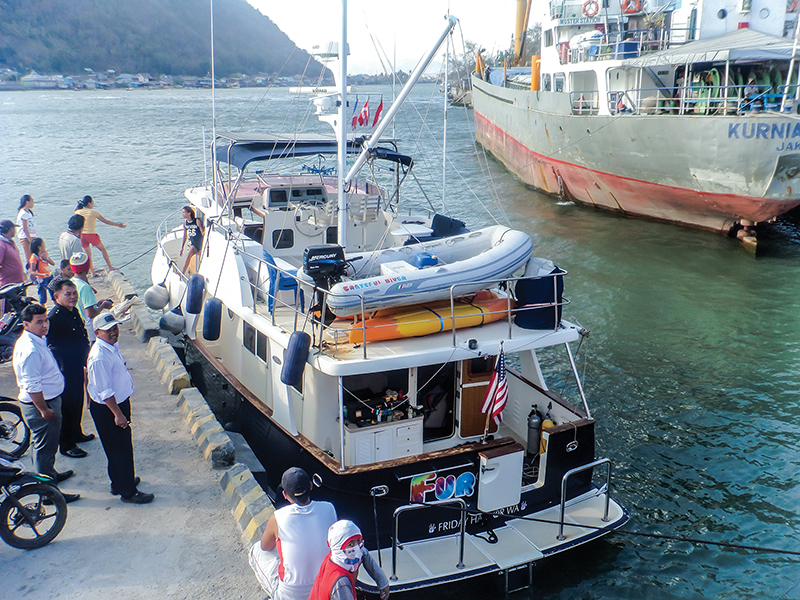 It was then that we decided to get off the ocean at the nearest port and wait for better conditions. Which we did. Where we were: Poulsbo, Wash.
What happened: Anchoring near other boats is always a bit stressful for me despite years of success. 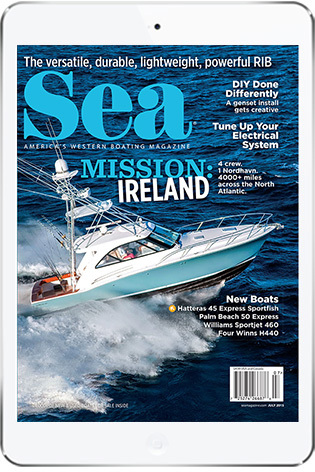 Mariah, my 32-foot Gulf Pilothouse sailboat, sports a 20# Bruce anchor, 120 feet of high-test quarter-inch chain and 120 feet of half-inch rode managed with an electric windlass. The gear has served me well from Seattle to Canada and south all the way to Puerto Vallarta, Mexico. However, this fall I had a minor “fender bender.” My buddy Cheston and I arrived in Liberty Bay about 11 p.m. on a Friday night and planned to anchor off the Poulsbo pubic dock. We anchored in 20 feet of water at high tide with a full moon, which meant up to a 10-foot drop at low tide, which should clear my five-foot keel easily. High winds were predicted that night, so I laid down about 100 feet of chain, just to be safe. We appeared to be at least 100 feet upwind of another sailboat; feeling somewhat safe, we went to bed. About 6 a.m. we heard a commotion on deck and Cheston said, “Ken, you better get up here.” Our chain had become entangled with our downwind neighbor’s rode and that boat’s crew was keeping the two hulls from banging together. We quickly let out more chain and untangled the mess without too much trouble. I guess the predicted winds never came and Mariah’s full keel moved differently than our fin-keeled neighbor, which created the tangle. I felt bad because we were the second to anchor and didn’t leave enough room between boats and possibly let out too much scope for the situation. The neighbors were gracious and there appeared to be no hard feelings or damage to either boat. 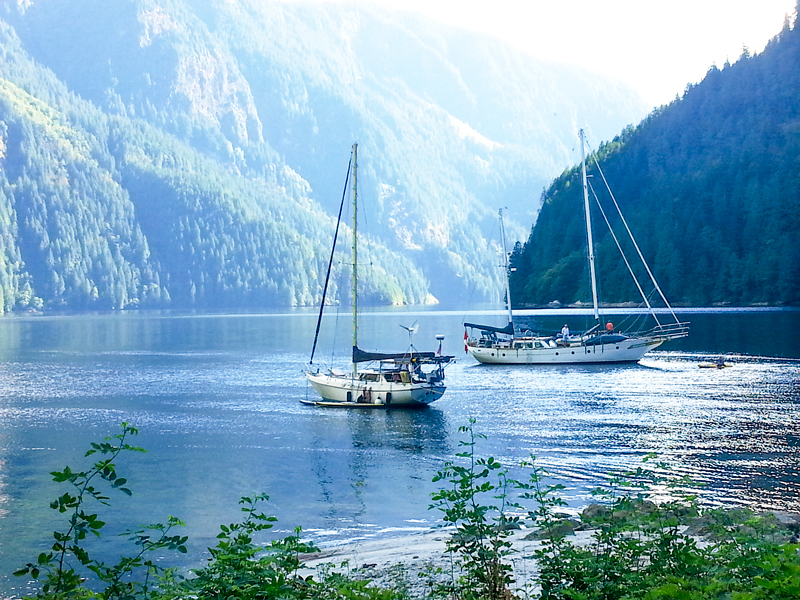 What we learned: Always know how far you are from the other boats in an anchorage and always double-check what’s happening once things are set, especially since weather forecasts are best guesses from professionals. When it comes to anchoring, don’t guess, as Ken Painter found out. 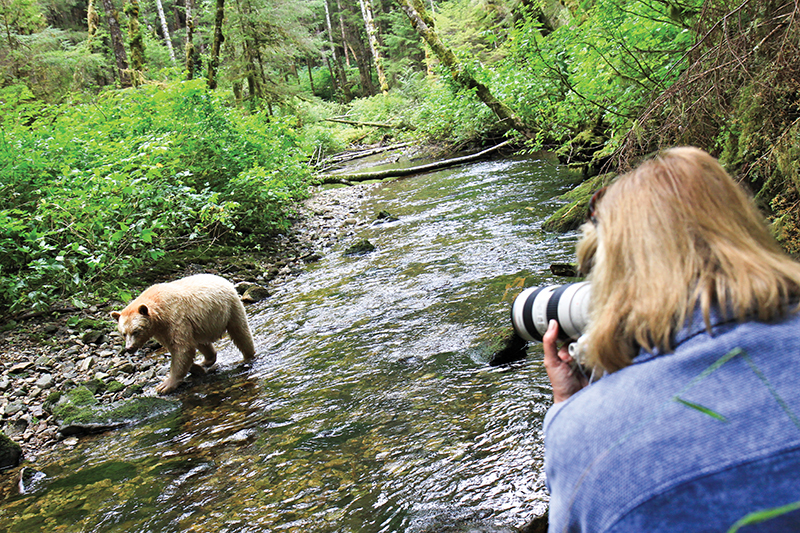 Pam Bacich likes her off-the-boat excursions but is better prepared these days. What happened: It was a calm, early summer evening in the Pacific Northwest when we headed out in the dinghy to explore and collect sand dollars on a rather remote sand spit. We beached the dinghy and walked to the far side of the spit when a sudden squall came out of nowhere. The winds were howling and the rain came pelting down. We ran back to the dinghy, which was now being tossed in the waves and was filling with water. We both plunged thigh deep into the freezing sea and turned the dinghy around. We were now sopping wet and cold. We had been so comfortable with the familiar surroundings that we had left Mola Mola, our Fleming 55, without PFDs or a handheld radio. Night was approaching and we were stranded. Mick reached into his pocket and pulled out a very wet cellphone. Service in the area is spotty at best and the phone was flashing red and discharging. Luckily, with the help of an Information Operator, we were able to make one call for help to a nearby marina. Be prepared whenever you’re away from the boat, as the Bacich crew discovered. What we learned: Don’t assume conditions will stay the way they are, and be prepared for when things change. If our adventures take us many miles away from Mola Mola, we will also take our iPad. Running a track of our route makes it easy to find our way back home. 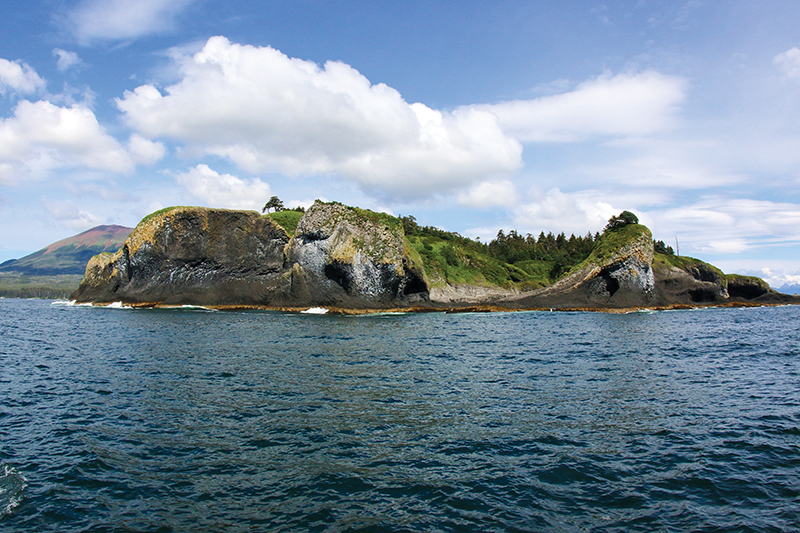 We’ve found that heavily treed islands can all look alike when you’re lost. Is this a regular feature? I loved it. AND …. have a story or two to share if it’s a regular feature.